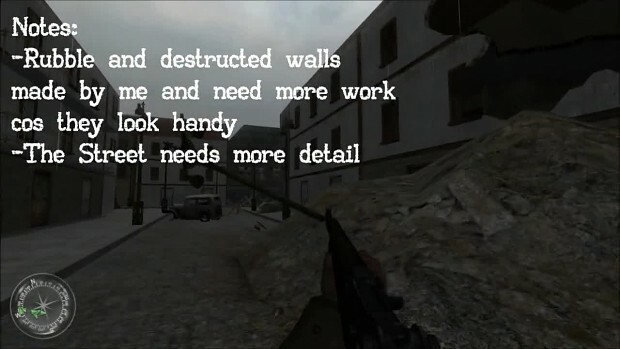 The "Corner Shop" is a short Singleplayer Mission I am slowly developing in Call of Duty 2. I wish, that this mod wouldn't be dead or abandoned.. It was the first steps I did. Then i dumped it or forgotten it and got to work on other things and I didn't really care, that's why it is so old. Not many significant improvements are made in the map after this video version.